FOUR Shetland health professionals have won awards for improvements in patient care. Each of the winners were from one of four patient care categories. They were picked from nine speakers at an “Excellence in Care” celebration at the Gilbert Bain Hospital recently. 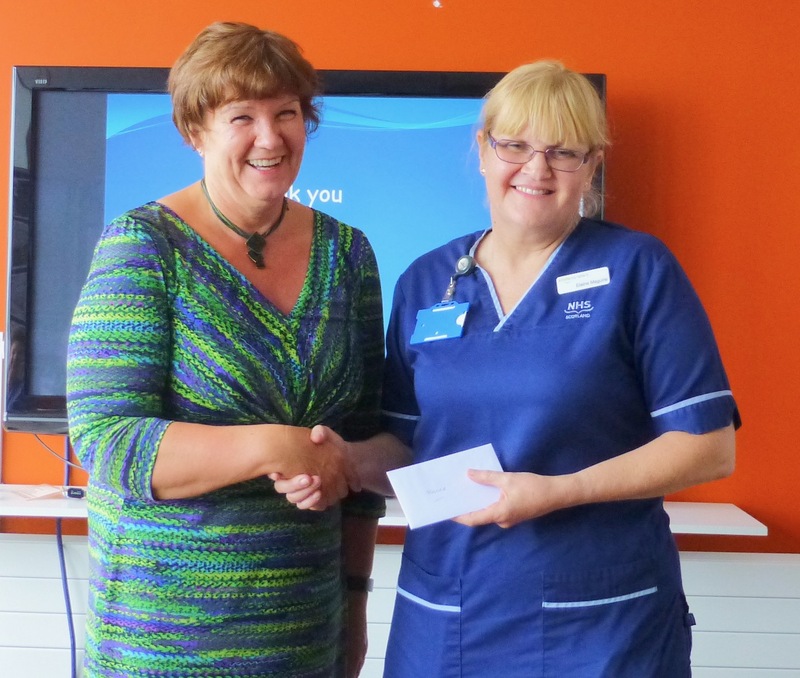 Scotland’s chief nursing officer Professor Fiona McQueen had the unenviable task of picking the four winners from the speakers. 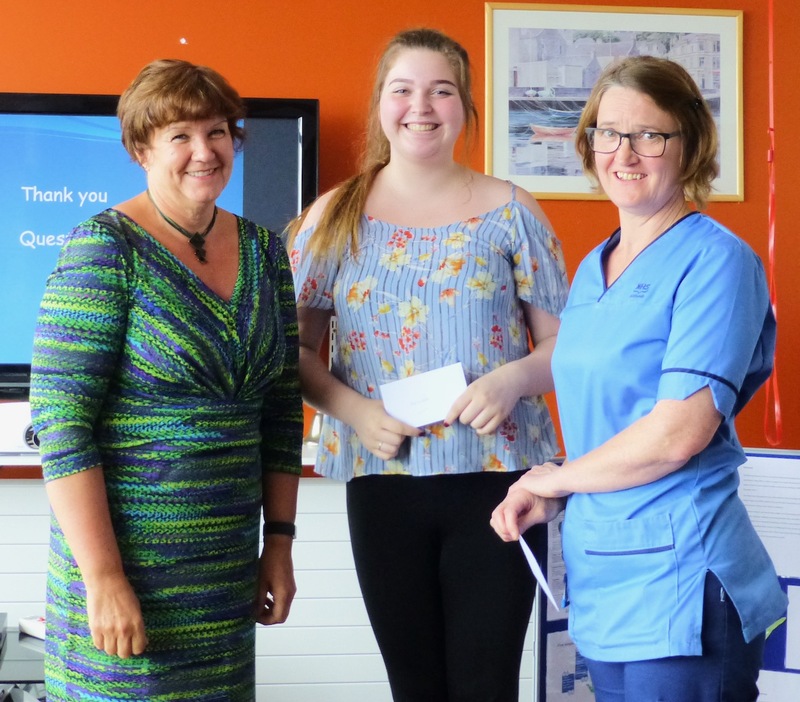 The event, to showcase examples of the improvements to patient care that nurses, health visitors and midwives have undertaken in the isles over the last year, was organised by NHS Shetland director of nursing and acute services Kathleen Carolan. The categories included: person-centred care, innovation, health improvement and excellence in education. 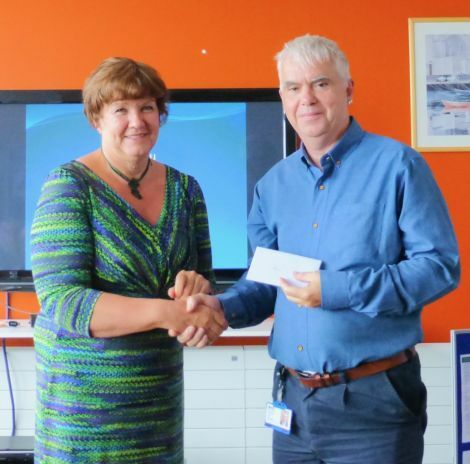 Presentation topics included new ways of supporting people with motor neurone disease, diabetes and using video conferencing to link Shetland with hospitals on the mainland. Awards were given to four practitioners who had led improvements in dementia care, frailty, school nursing and training to support practice nurses. Dementia services manager Alan Murdoch won the award for innovation for the work that he and the team have undertaken to support early diagnosis of dementia. Murdoch said his presentation focussed on how he had led the development of a specialist dementia assessment service in Shetland which was introduced in 2010. The more specific diagnoses would have required the person to travel to Aberdeen to see the consultant in old age psychiatry. Now, in conjunction with a video linked consultant in Aberdeen, all assessments, delivery of diagnosis and reviews are undertaken by the nurses in Shetland. The nurses are independent prescribers and commence and review medication as required. 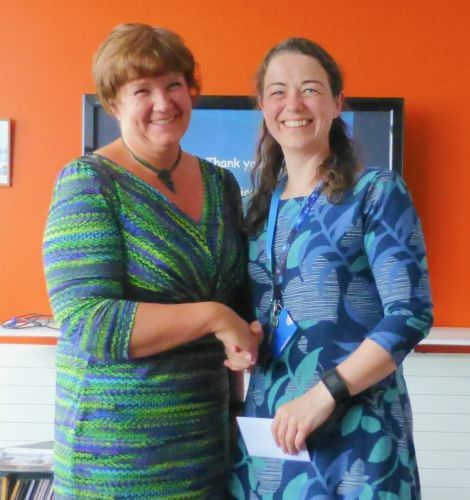 School nurse Keri Ratter won the health improvement award for her work on redesigning school nursing services – improving access for young people. She said her talk focussed on how the core school nursing service had been built up through the school “drop-in” initiative. She said: “I explained that nationally school nursing is changing. The core service will stay the same but also follow 10 additional pathways. Ingrid Sutherland, senior staff nurse on Ward 3, won the person-centred care award for work she has done to raise awareness about frailty. Her talk reflected the work done with student nurses in Ward 3. Community nursing team leader Elaine Maguire won the award for the work she has led to put a training programme in place for practice nurses. Carolan said it was important to make the time to celebrate the work of NHS Shetland staff who were continually developing their practice to support local services and this often went unrecognised. “The event provided a huge opportunity to share learning with teams who would not otherwise have been aware of the changes that were being made elsewhere in the organisation,” she said. According to Carolan the presentations demonstrated how staff went “above and beyond” their duties to ensure that patients were given the best possible care, she said.